Meet the Staff: Jodi Smits! My daughter Shannon and I came to Fairhope with lots of hope of starting a new life and leaving our heartache behind. We came into the Page and Palette greeted by Karin and Kiefer Wilson with open arms and a job. We were properly trained by the best; a bookworm I affectionately named "Sarge", Stephanie Crowe. Her love of books and enthusiasm put us both right in the mode for enjoying every aspect of working here. I love all "my girls", the events, the music, and the great atmosphere. It's family. The only thing I miss tremendously is our precious Ms. Betty Jo Wolff, constantly searching for the right book to introduce to her book club, offering each of us girls a word of wisdom and encouragement. But life gets better with each customer that walks in. After five years I began to realize they were not just customers, they are family. I know their stories, their families, their jobs, and why they love the Page and Palette and the Wilsons. It's about reaching out to the community and saying, "we are here for you". Let me share a short story with you directly from the Page and Palette. A couple of years back, I first met a wonderful author of poetry, Mr. Michael McCaffrey. Such a gentleman and a hard worker, but he was also a Vietnam Veteran. He had written a small little book of poetry, "The Never Better Club". It is about his father and his teachings. I read the book and could not believe how it had opened my eyes to the love a young boy has for his father and how that wonderful father's teachings of discipline and good manners alone kept the author in perfect peace during great storms of life and war. It helped me realize a great respect for all fathers and the relationship they have with their sons. And when those fathers pass on, their memories and teachings live on in their sons. A simple little book with thought and writing that carries an unmeasurable impact of encouragement. I loved it and recommend it to everyone. The Page and Palette is a place where everyone matters. And on those days when it gets really busy and hectic and no one is perfect, everyone has a second chance to take a deep breathe and start all over. 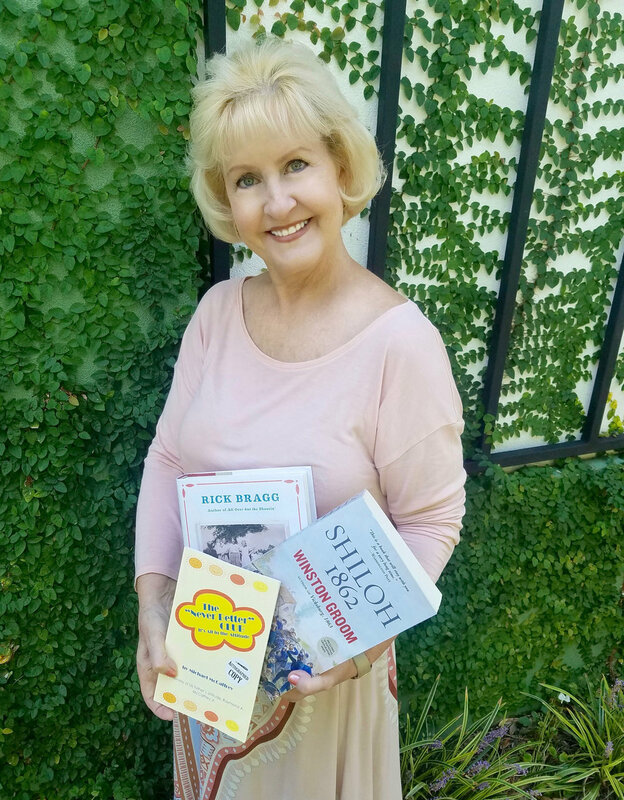 Come to the Page and Palette to see me and I'll introduce you to some great authors and co-workers that will do everything they can to help you find that perfect book you've been looking for. And plan on sitting down to a cup of coffee and chatting about it. And should your heart be heavily burdened, for Pete's sake come to Fairhope! It won't last long. Meet the Staff: Leigh Buckley! Meet the Staff: Heather Hickok!